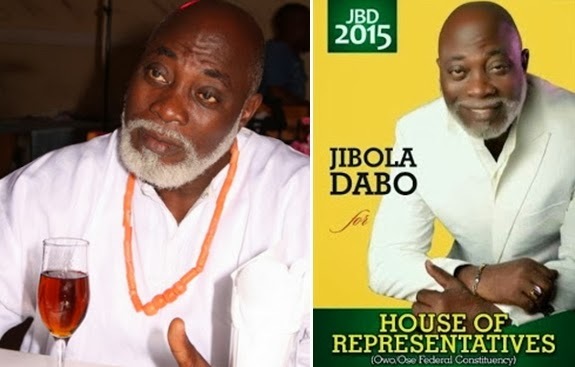 Nigerian actor Jibola Dabo has joined the growing list of Nollywood stars who are now politicians. The veteran Yoruba actor who recently declared his political ambition for 2015 is contesting for House of Representatives come 2015. Onyeka Onwenu is the Executive Director/Chief Executive Officer of the National Centre for Women Development (NCWD) Abuja. Good luck to Jibola Dabo on his new adventure, hope he wins. Na wa for this my uncle o: the poster sef be like nigerian movie advert. Please advise him to stay back from politics and enjoy the rest of his life.